Nehru Trophy Boat Race: The first ever boat race was conducted in 1952 to honour Pandit Jawaharlal Nehru when the then Prime Minister visited Alappuzha.Today is the 66th year of the boat race. The Nehru Trophy Boat Race named after Pandit Jawaharlal Nehru is conducted on the Punnamda Lake, near Alappuzha, on the second Saturday of August every year. This year, the event got postponed and is taking place today. The delay was due to the devastating floods that hit Kerala a few months ago. Today is the 66th year of the boat race. As many as 81 boats, including 25 snake boats will take part in the event. The top 10 snake boats will be awarded with cash prizes. 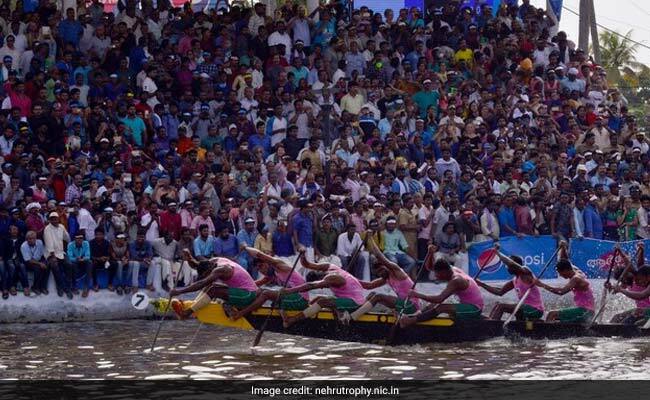 On the day of this fiercely fought Nehru Boat Race, the lake front is filled with an estimated two lakh people, including tourists from abroad for watching the event. For the people of each village in Kuttanad, a victory at this race for their village boat is something to be celebrated for months to come. The first ever Nehru Boat Race was conducted in 1952 to honour Pandit Jawaharlal Nehru when the then Prime Minister visited Alappuzha. Finally! It's the day of the 66th Nehru Trophy Boat Race, and the fiery challengers are raring to go. Catch the live action in Alappuzha! Snake boats are a major attraction of the event. They are around 100-138 feet in length. With the rear portion rising to a height of about 20 feet, and a long tapering front portion, it resembles a snake with its hood raised. Traditionally each snake boat belongs to one village, and the villagers worship that boat like a deity. Only men are allowed to touch the boat, and to show respect they should be barefooted. To make the boat slippery while in the water and to reduce absorption of water and thereby reduce the resistance of the hull, it is oiled with a mixture of fish oil, the ash of coconut shells, and eggs. The preliminary rounds of the small boats will begin at 11 am and final rounds of all boats including snake boats will take place in the afternoon. Actor Allu Arjun will be the chief guest at the event today.